An overnight mask for face, neck and décolletage. The lightweight balm-in-gel texture absorbs quickly for complete comfort and ease of use. Skin looks rested and refreshed; wrinkles appear diminished by 10%*; and the complexion is 10%* more radiant. Created with smoothing Silk Proteins and exclusive 3.5-DA**, an ultra-powerful and highly concentrated ingredient, the formula has the ability to adapt to each woman's unique needs, firming, smoothing and restoring radiance to all skin types. Apply generously before bed to cleansed face, neck and décolleté, alone or with eye cream and serum. Use a few times each week or daily, according to your needs. *Clinical evaluation of 22 women after one month of use. 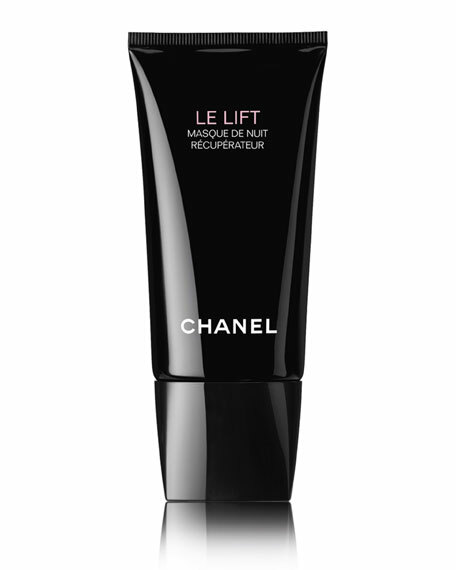 **A Chanel-exclusive form of Dicaffeoylquinic Acid.